Septembers UK Elle loves embellishment and I was rather drawn to Christopher Kanes take on it this season, with embroidery on leather and cashmere. 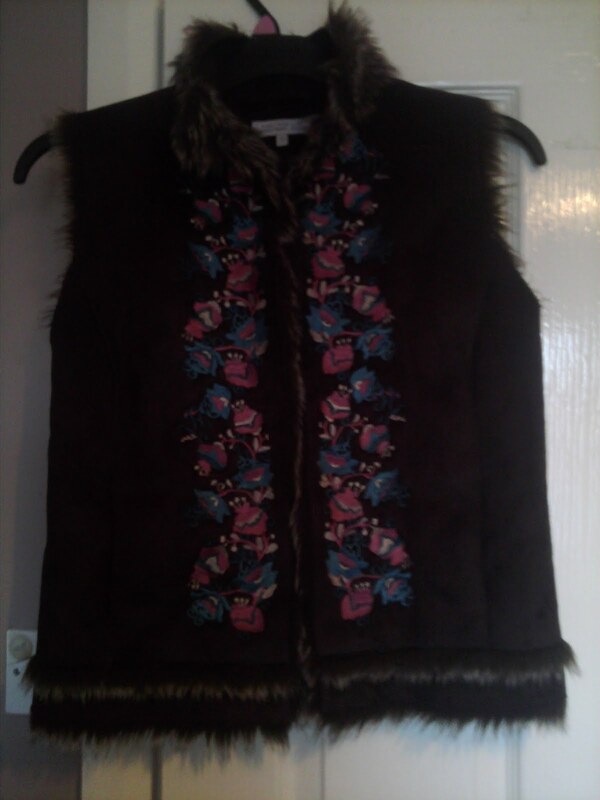 This inspired me to bag this Antoni & Alison faux fur and embroidered gilet, for £1 I couldn't say no!! Very boho in style, but I will dress it up or down with jeans, floaty dresses, etc and its another fluffy piece to the collection! I'm now going to hunt a grey or black furry gilet as my next wishlist piece, I'll be sure to show it when I find the right one for me!! Having a vest is soo warm. You are going to love wearing it. Love anything Furry - great buys! 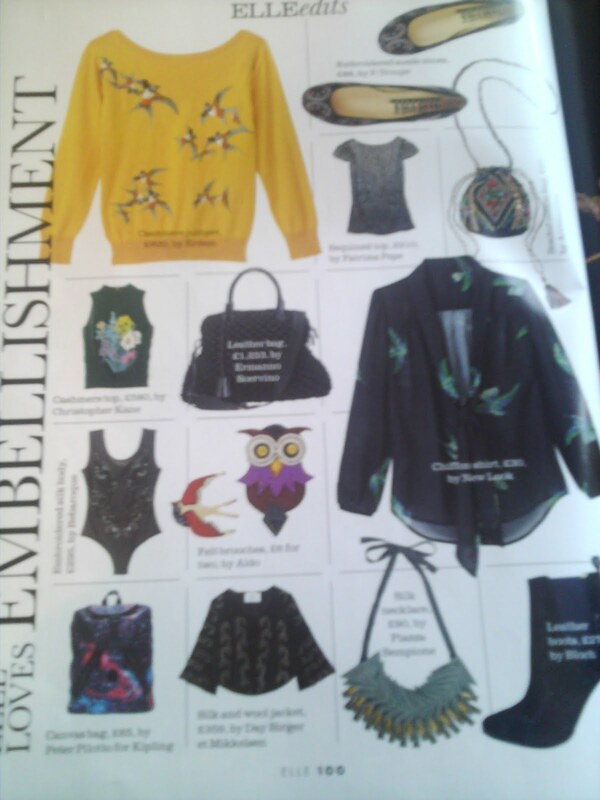 Liking the look of that chiffon blouse in the magazine pic. Great find with the Gilet too! Fantastic find...I could see one of Ossie's girls wearing something like that. I love your finds! I've never heard these called gilets before, we just call them vests. I like both pieces but like the black one best because of the embroidery. Gorgeous vest! It definitely screams Christopher Kane FW10! Adore that fur vest in your last post as well! That is a cutie,and will prove to be very practical,I'm sure. Faux fur is suppose to be big this season especially with handbags. I bought a faux fur bag in anticipation of this trend. I'm working on getting me a few capes (which is also suppose to be in this f/w) and a fur stole. I love the hat and I hope you can keep your dog away from it. You might want to rest that on a hat stand or a high shelf!